Your guide to establishing healthy routines and habits for your small dog to maintain a healthy home environment. Creating a healthy home environment for you and your small dog is important to ensure you're keeping yourself and your dog healthy. Making sure your home is set up properly for your small dog doesn't have to be hard or impede on your living space. Keep reading below to read our tips for setting up your home and establishing routines to keep you and your small dog happy and healthy. A key part of ensuring your home remains clean and hygienic when you have a small dog is making sure your furry friend has a dedicated area to rest and relax. 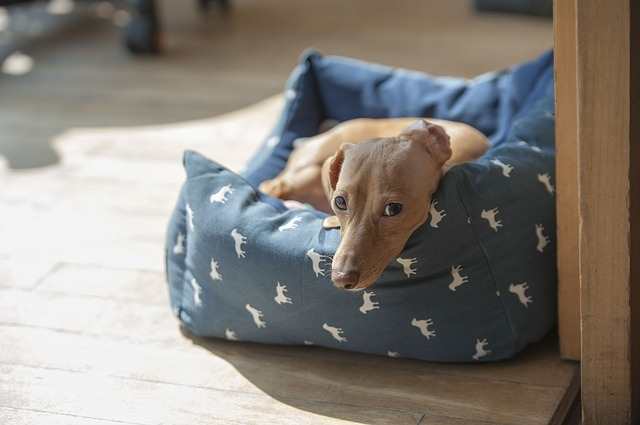 Setting up your dog's bed and a blanket in a dedicated area will give your pet somewhere to relax so they're not jumping up onto your bed and furniture throughout the day. Of course, you may want your dog to sit with you sometimes but having a dedicated area of your home for the dog to sleep and relax sets clear boundaries for your small dog. 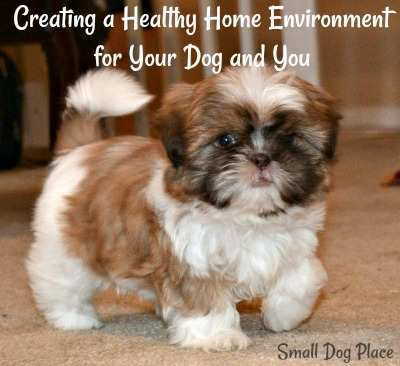 Creating a healthy home environment for your dog and you. Designate a bathroom area for your small dog. All dogs need to be able to get outside or have access to space to go to the bathroom a few times per day. If you're home during the day, make sure you let your dog out a few times to go to the bathroom. You may find your little friend has particular behaviours when they need to be let out for the bathroom. Be aware of habits such as running after you when you walk towards a door or constant staring outside. If you're not home during the day, consider paying a dog walker or get a trusted friend to take your dog out for a bathroom break. Another option, instead of a dog walker, is to purchase a pet potty that features grass. These products provide a dedicated area for your dog to go to the bathroom when you're not around, while making cleaning quick and easy. PETMAKER Artificial Grass Bathroom Mat for Puppies and Small Pets- Portable Potty Trainer for Indoor and Outdoor Use by Puppy Essentials, 20" x 25"
Your mealtime and your small dog's meal should be separate to prevent begging and other health problems. It may be tempting to throw your small dog a little treat from the dining table as you eat dinner, but this can create a pattern of your dog hanging around while you eat. Not only can this be unhygienic, but you could end up feeding your dog something that will make them sick. It also sets up a habit of begging which is difficult to break. 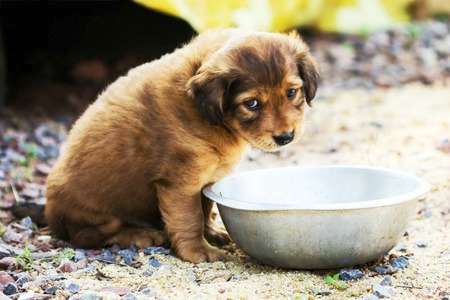 Keep meal times habitual for your small dog by serving their food in a dedicated bowl and placing the bowl in the same place for each meal. 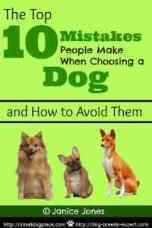 Remember dogs are creatures of habit, so they'll get used to the routine quickly. 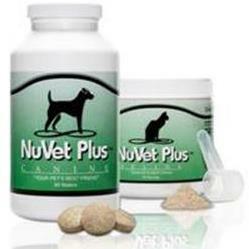 According to the American Veterinary Medical Association, a third of American homes have a pet dog. Of these homes, more than half report they let their dogs sleep in their beds when they sleep at night. These statistics, included in a study by the Mayo Clinic, concluded that for healthy middle-aged women, having one adult dog sleep in bed with an owner may not be disruptive to sleep. The study, however, found that sleep quality was worst when a single person slept in a bed with a small dog. Based on this study, and for the sake of your hygiene and sleep quality, it's best to let your furry friend sleep in their own dedicated bed each night. If you have a fluffy dog, you may find they shed a lot of fur around your home. To keep your home free from stray fur on your furniture and clothing, keep your dog on a regular grooming schedule. 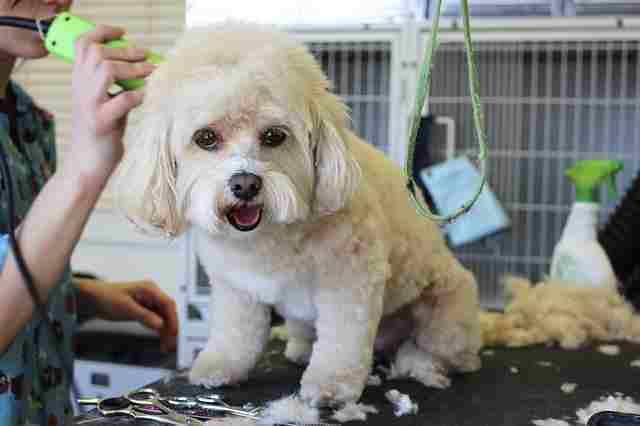 Make sure your dog has a haircut by a professional every 6 to 8 weeks. Between haircuts, regularly wash your dog and brush their hair to catch any stray fur before it ends up on your couch. Brushing your dog's fur outside will also make sure any fur that does stray as you're brushing, doesn't end up in your home. Owning a small dog has many health benefits and setting up your home and routines properly to keep you and your dog healthy will help you realise all the great things about having a furry friend at home. Creating a healthy home environment for your dog and you is not hard, as you have learned, but it does require a few changes in routines and spaces. If you found this article, Creating a Healthy Home Environment for Your Dog and You, helpful, may we suggest additional articles that may be of interest. Keeping a healthy home with pets.